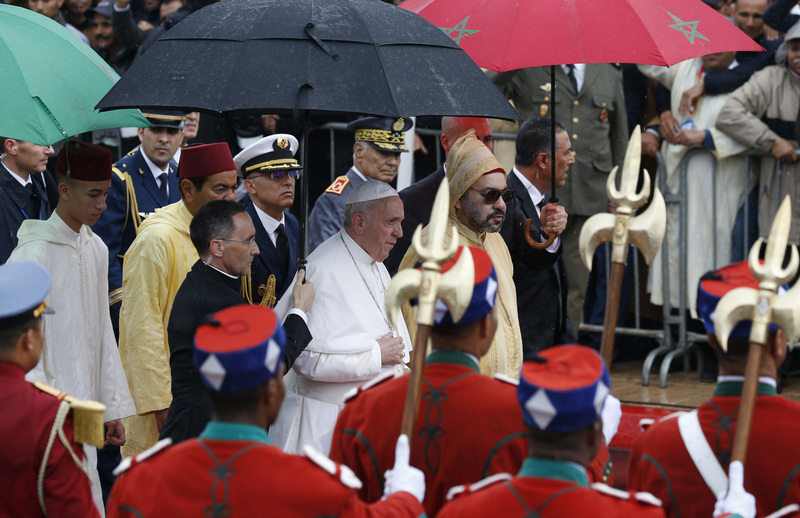 Describing himself as “Commander of the Faithful," King Mohammed VI of Morocco emphasized that “I cannot speak of the land of Islam as if only Muslims lived there." Noting Morocco’s geographic position as “a natural bridge between Africa and Europe,” he affirmed the need for mutual cooperation “in giving new impetus to the building of a world of greater solidarity, marked by honest, courageous and indispensable efforts to promote a dialogue respectful of the richness and distinctiveness of each people and every individual.” He said Christians and Muslims alike are called “to rise to this challenge, especially at the present time, when our differences and our lack of reciprocal knowledge risk being exploited as a cause for conflict and division." The issue of migration is much more complex than people fleeing persecution which they are powerless to resist. Besides that, many people aspire to benefit themselves and their children, by moving to a community which has laboured to establish stability in order and reliable provision of food and other essentials. They did not just pick it off trees in a garden like Eden. Understandable, and even tolerable, if they also strive to assimilate, join themselves and their offspring to the culture which created the social and material benefits. Intolerable if they insist on the benefits but refuse to change behaviour and language. And then there is invasion. A scholarly, reliable, and pertinent history of the explosion of a small Arab new religion, Islam, into a vast number of other people's traditional land is available. Apart from Indian subcontinent and China, they were almost all Christian lands. It demonstrates that one of the tactics, preached as well as observed, is to "migrate" as the contribution of some individuals to their duty of waging jihad. Islam has a well-tried and frequently practised doctrine of deception, they do not engage in dialogue. Ask the people of Israel how well talking with the Middle East Arabs calling themselves Palestinians is taking them towards peace. "true peace comes through the pursuit of social justice, which is indispensable for correcting the economic imbalances and political unrest that have always had a major role in generating conflicts and threatening the whole of humanity" Nonsense. Up till 200 years ago the entire world was poor except for a tiny ruling class and an small area in England and Holland. Before that wealth was mainly generated by taking it from others. It would be nice if the Pope acknowledged what causes economic imbalances. It is the choices the poor countries pursue. "Build a bridge".. lol what, like London Bridge? Build a bridge, and they'll hijack the bridge and make it a sharia zone. How does Christianity (or in this case Catholicism) build a bridge with the Anti-Christ Mohammed?